A marker commemorating the massacre of Mexicans in Texas in 1918 is part of a larger move to recognize the widespread lynchings of Hispanics in the historic Southwest. 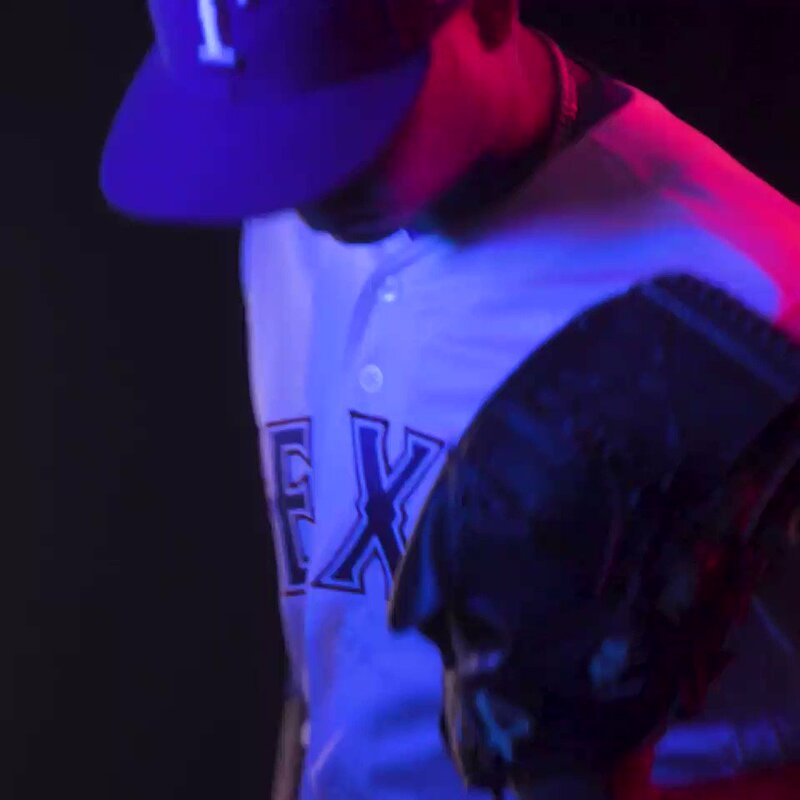 Rangers rookie left-handed pitchers C.D. Pelham, Brady Feigl and Brett Martin followed the path of Tim Lincecum this winter. 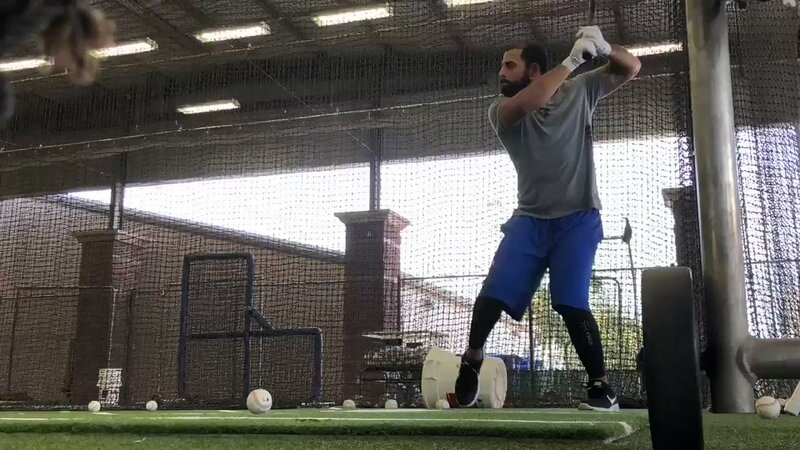 Those three were sent by the Rangers to Driveline Baseball, the Seattle-area workout facility that is developing a nationwide reputation for being able to help pitchers. Outfielders Joey Gallo and Nomar Mazara are both interested in long-term contract extensions if that's something the Rangers want to talk about in earnest this spring. The Rangers are having internal discussions about approaching some of their younger players about long-term contracts before Spring Training is over, something that annually happens this time of year. Outfielders Joey Gallo and Nomar Mazara and right-handed pitcher Jose Leclerc would be the players most likely to be approached. Delino DeShields was the Opening Day center fielder last season but started just 93 games due to injuries. Despite that, both he and manager Chris Woodward enter spring camp confident in DeShields' abilities. Outfielder Hunter Pence did not participate in the Rangers first full-squad workout on Monday because of a sore right shoulder. The Rangers do not believe it is serious but are going to give Pence some time off. The Rangers have signed veteran outfielder Ben Revere to a Triple-A contract with an invitation to Spring Training. The deal, which was pending a physical, was completed on Monday. Rangers bench coach Don Wakamatsu is in charge of running Spring Training for manager Chris Woodward and making sure the daily schedule runs smoothly. Wakamatsu's WakWay Foundation will also be busy in Spring Training. Every Saturday morning, the foundation will partner with the Giumarra Companies and with the support of a grant from Albertsons/Safeway to hold free community markets at five locations in the Greater Phoenix area. The Rangers hired 55 new people for their baseball operations department this offseason, and pitching coach Julio Rangel may be right behind manager Chris Woodward in importance. This will be the first time Rangel has ever had a Major League job. Here are some frequently asked questions about the new pitching coach. The Rangers have signed veteran outfielder Ben Revere to a Triple-A contract with an invitation to Spring Training, according to Major League sources. The club has not confirmed the deal, which is pending a physical scheduled for Monday. Shortstop Elvis Andrus, who reported on Saturday, doesn't seem to mind the fact that people are giving the Rangers little chance to be better this season. Veteran outfielder Hunter Pence is in Rangers camp on a Minor League contract. By definition, that means he is not guaranteed a spot, and he will have to make the team in Spring Training. Willie Calhoun might be the most compelling player in camp. The Rangers, who acquired him from the Dodgers in a Trade Deadline deal in 2017 for Yu Darvish, have always liked Calhoun's bat. But this offseason they gave him a mandate to lose weight and get his body in shape. Calhoun followed orders and showed up to camp weighing 199 pounds. He said he lost 24 pounds in the offseason. The Rangers hope to take some of the pressure off Asdrubal Cabrera as he transitions to being a full-time third baseman. Three pitchers who are coming back from Tommy John surgery are staying up with the others in Rangers camp in the early going. 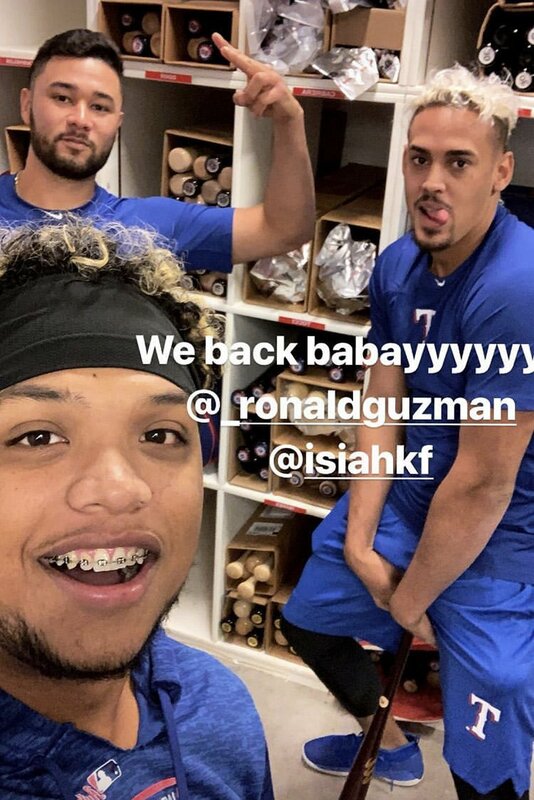 Rangers catchers Jose Trevino and Isiah Kiner-Falefa already have a nickname for Jeff Mathis. Spring Training is here, so now is a good time to project what each club's Opening Day lineup and rotation would look like if the season began today. Rangers reliever Shawn Kelley said he is not an emotional guy, even though there is a perception that throwing his glove on a mound last year brought an end to his time with the Nationals. Rangers manager Chris Woodward is not ready to officially name his Opening Day starter but it's clear Mike Minor is the obvious choice. Rangers pitchers and catchers reported to Spring Training on Tuesday and Matt Davidson was right there with them. A corner infielder by trade, Davidson will get some time on the mound as well. The Rangers signed Shelby Miller to a one-year, $2 million contract with another $3 million available in incentives, expecting him to be a part of a rotation. Miller is confident it will happen. The time has come for the Rangers to stop with the talk about rebuilding for the future, the restructuring of the coaching staff and the front office, and the long-term goals of the organization. Spring Training is here. Pitchers and catchers report to the Rangers facility in Surprise on Tuesday and the focus needs to fall directly on the immediate task of getting ready for the 2019 season. 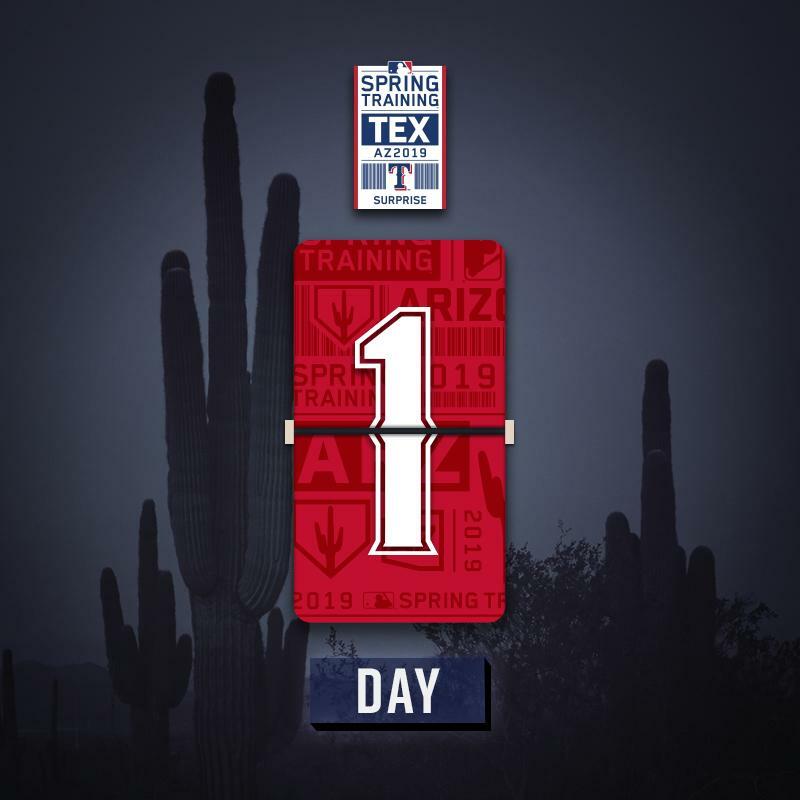 Rangers pitchers and catchers report on Tuesday with the first full-squad workout next Monday. Here are ten things to watch for. The Rangers appear to have a set starting rotation and lineup going into Spring Training, leaving unfinished the usual business of setting the bench and the bullpen. But there are still some unknowns when attempting to predict Texas' 25-man roster for Opening Day.